A file is any type of asset that isn't a web page. Things like images, Word documents, PDFs, and Excel spreadsheets are all files. 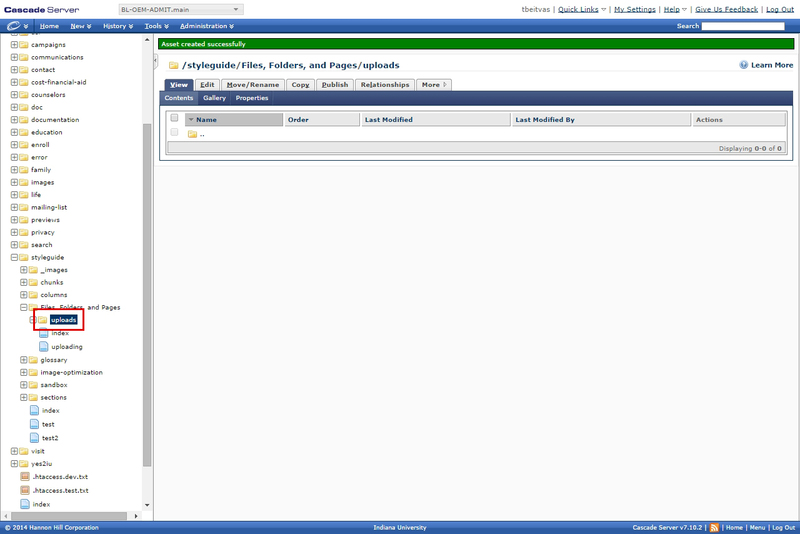 Step 1: In the left navigation pane, select a folder where the files will be uploaded. 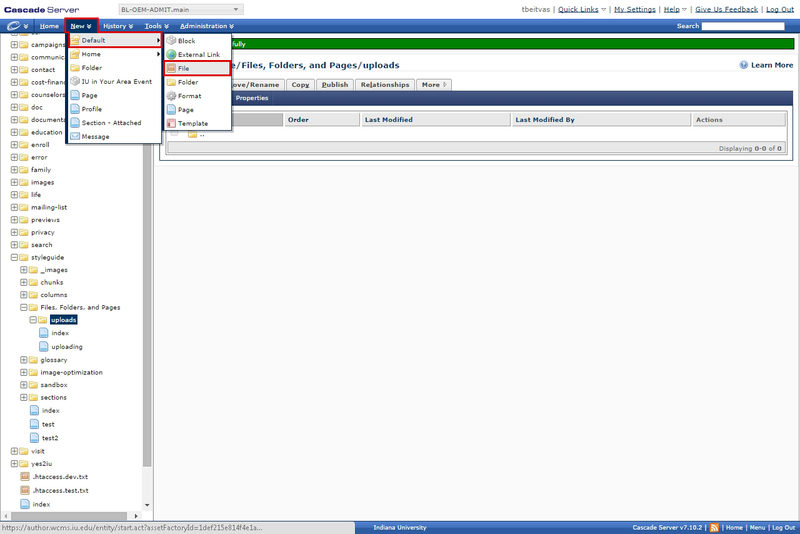 Step 2: From the top menu, click New >> Default >> File. 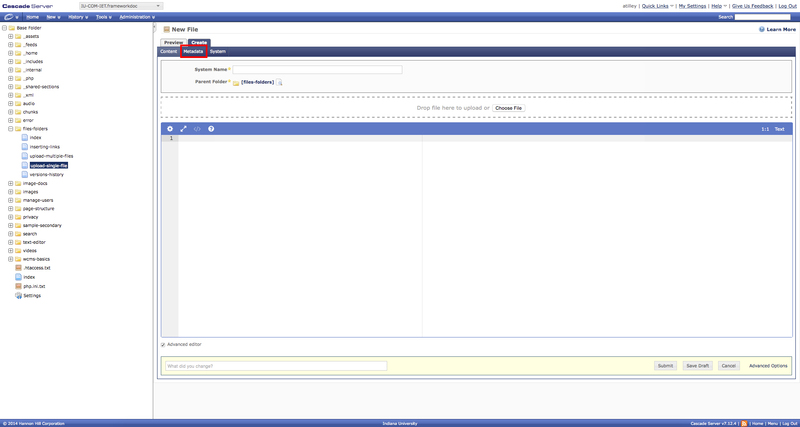 Step 3: Click the Choose File button or drag and drop a file into the dotted area. Step 4: The System Name will automatically be filled in to match the filename of the file uploaded. It can be changed here if necessary. 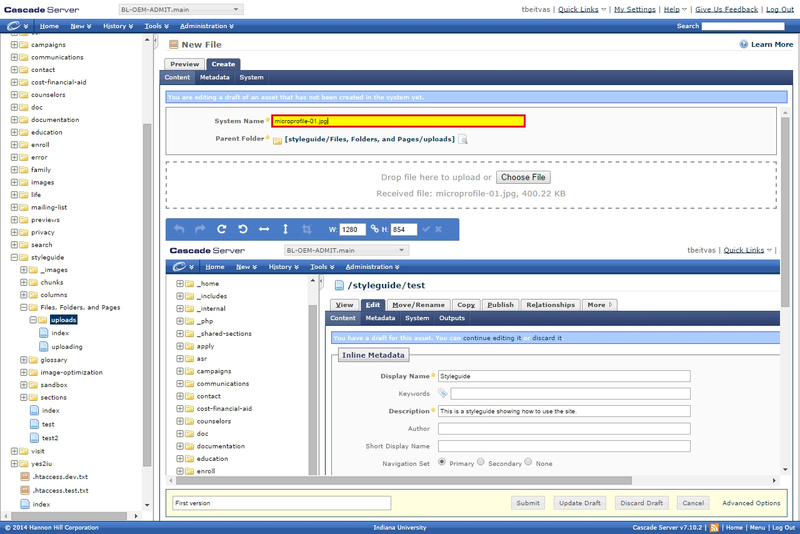 Step 5: To add alt-text to images and other information about the files that are being added, click on the Metadata tab. 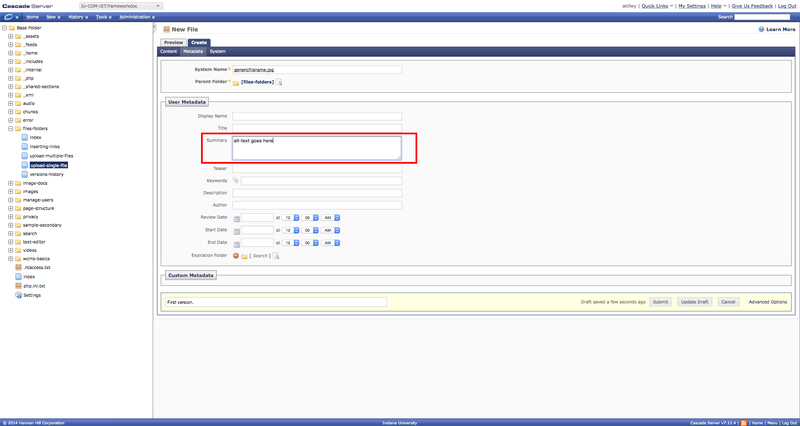 Step 6: In the Summary field, insert a brief summary of the file you are adding. If uploading an image, this should be what the alt-text field should read. 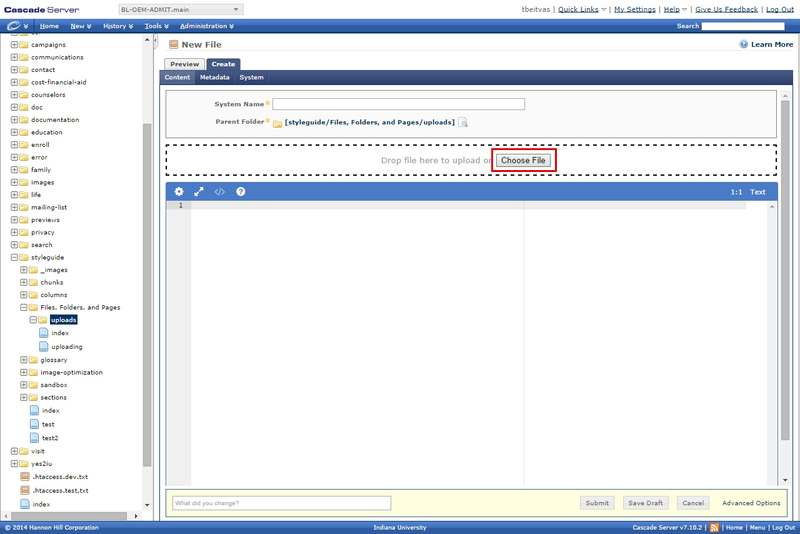 Step 8: Remember to publish the files for the updates to apply.